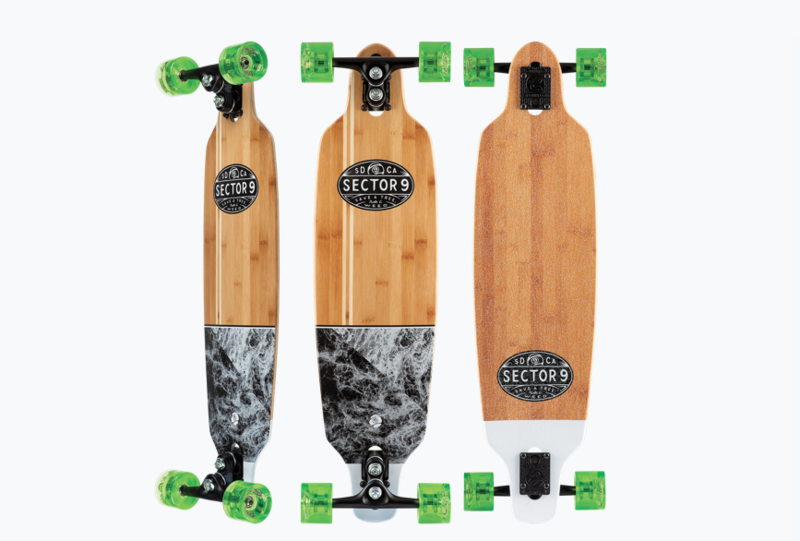 Sector 9 released its latest collection of 100% sustainably sourced bamboo boards, the Billow Bambino, Monsoon Shoots and Torrent Offshore, this time simplifying the graphics to show off the natural wood and giving the boards a much cleaner look. Press Release: While making our products, and living the Sector 9 lifestyle, we constantly do our best to be a friend and advocate of the environment. For years, we’ve been producing great looking skateboards made out of 100% sustainably harvested Bamboo and always try to pair the beautiful shades of the veneers with artists that match their natural feel. This season we’ve changed direction a bit, and gone with some clean lines, simple designs and a toned down palette to highlight just how beautiful the Bamboo can be by itself. BILLOW BAMBINO – The Billow Bambino is a pocket-sized slasher you can take to the corner store, the classroom, or your favourite ditch. 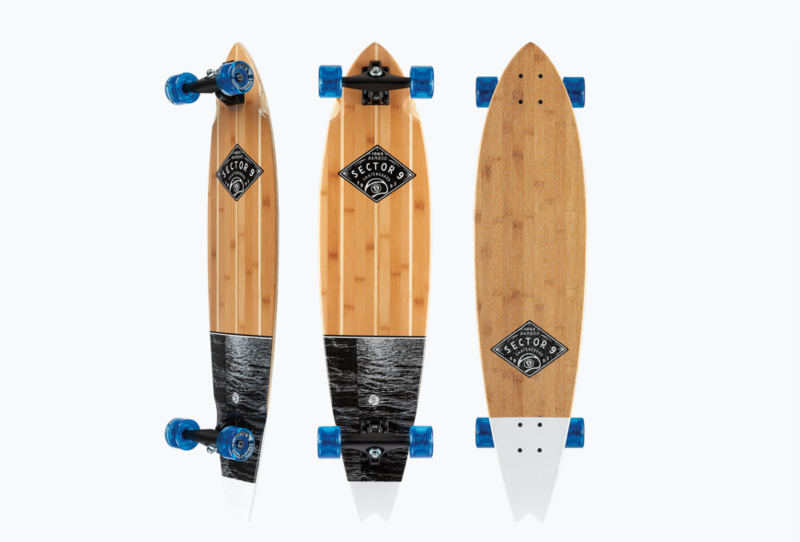 The smallest board in the Bamboo lineup, the Bambino is an Eco-friendly cruiser made with a 100% Bamboo construction, but is still capable of popping up a curb with a full and functional kick tail. The stone ground 61mm Nineballs get you right into a slide and the rounded lips to get you on and off the grinds. MONSOON SHOOTS – If you’re looking for an exceptional mid-length board that is going to allow you to throw down carves like never before, then look no further than the Monsoon Shoots. This carving machine is durable and lightweight due to the 100% Bamboo construction. Combine that with our Sidewinder II trucks and 69mm Nineballs and you’re skating with effortless direction changes, all day long, and a clean black and white graphic match the clean lines you bound to create. TORRENT OFFSHORE – One of the longest shapes in the Bamboo Series, the Torrent Offshore is the perfect commuter. 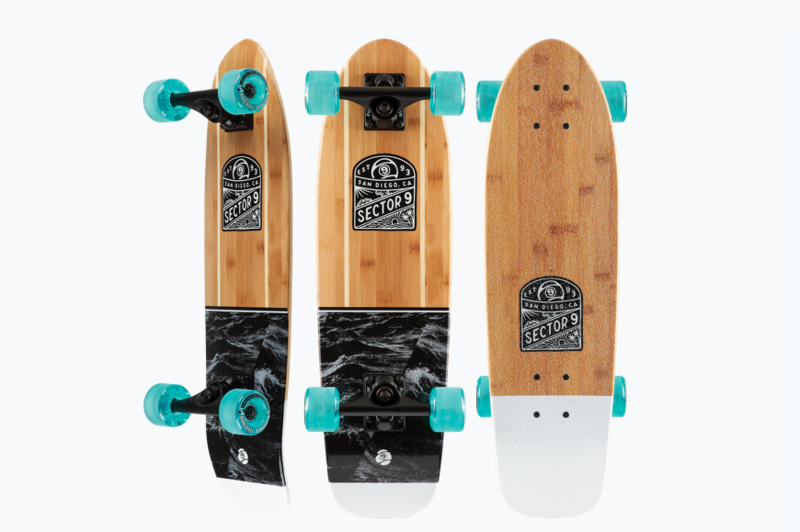 With a long wheelbase and soft 65mm Nineballs, this board is the ideal beach, campus or even hill carving ride. The 100% Bamboo construction provides just the right amount of flex without losing durability. While we named it the Torrent, it’ll be nothing but smooth sailing on this ride.